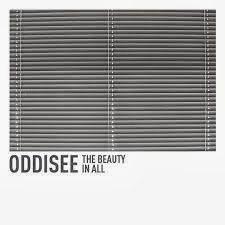 In his official follow up to the 2012 release People Hear What They See, Oddisee's instrumental album The Beauty In All continues to solidify the DMV representative as an extremely well rounded artist. There was a time when you classified an artist as a producer/MC, the artist was usually better in one aspect than in the other. Either they had: dope lyrics and okay beats, decent enough beats but the wordplay wasn't there, or they were just a hot mess all around. Oddisee is among a newer, established era of artists that not only have incredible wordplay, but also have the ability to produce music better than some artists that solely produce. It is hard for me to describe how this album sounds. It isn't a club banger by any stretch. It's got a mellow vibe to it but it knocks something serious. Take the track Fashionably Late for example. The track starts off smooth enough, but after a familiar sample pops in, I couldn't help but rock to the rest of the song. If you need anymore convincing about how dope The Beauty In All is, I strongly recommend checking the track Lonely Planet. The Beauty In All is definitely a choice album for starting your day off right. 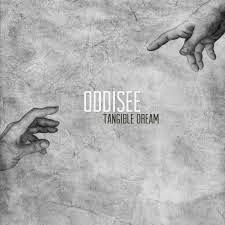 If you purchase the album from Oddisee's Bandcamp page, you get his Tangible Dream mixtape for free. With Oddisee handling the beats and rhymes on this mixtape, he proves my earlier statement of being a well rounded artist. Personally, I think his free mixtape is hotter than a lot of the commercial albums that dropped this year. This double release is a complete package. Where the instrumental The Beauty In All lets Oddisee flex his production skill, Tangible Dream shows what he is capable of when he lets loose on his own beats. Just like The Beauty In All, the beats have that same mellow, yet hard, vibe going on (I know it's an oxymoron but if you listen to it you'll hear what I mean). But Oddisee's flow? That boy is sick, point blank. Check out his do-it-yourself mentality on the title track Tangible Dream. He literally spits about how he's bringing his dream to life and provides the soundtrack to his success. Another high point on this mixtape is the bonus track featuring yU, Uptown X.O., and himself, better known as the DMV supergroup, Diamond District. After their 2009 release In The Ruff, the track Bonus Flow comes with the hopes that another District album is in the near future. Another track I want to hit on is Yeezus Was A Mortal Man. At a time where MCs are getting back to battling in their verses, it is easy to hear Oddisee isn't mincing words. The question is whether he is calling anyone out or if he is just reminding listeners at the end of the day they are just regular people. Regardless of the message, after one listen it is clear Oddisee is ready when/if there is a response. I'm not rating this album, I am flat out recommending it. It has the best of both worlds; dope lyrics and dope beats. Even if you are not a fan of instrumental albums (I know I'm not), I'd still suggest copping it for the mixtape alone. I can almost guarantee you will end up listening to both equally. In all honesty, I'll pick up an Oddisee release without having heard any tracks off of it. These two releases are the perfect reason why. You can purchase the The Beauty In All / Tangible Dream bundle by following this jump.